Try this simple and adorable nature weaving holiday craft for kids of all ages! Pair it with the book Pick a Pine Tree and your snowy afternoon plans are set. 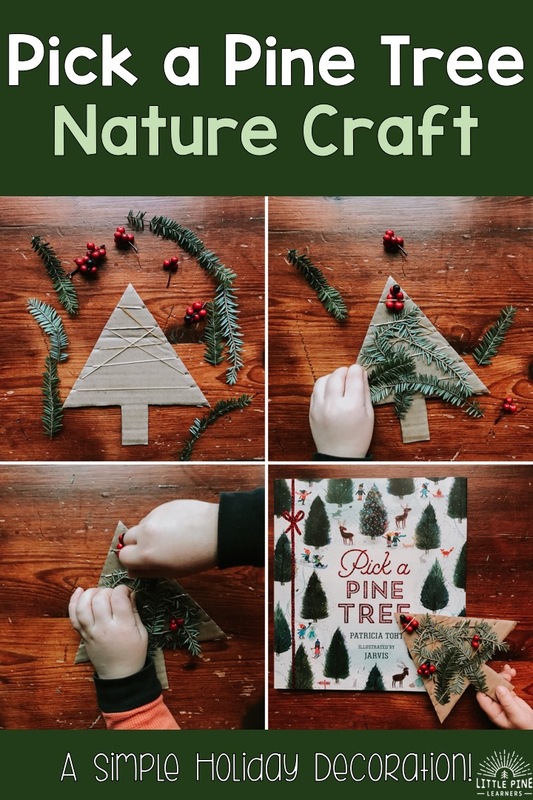 This nature craft makes for the perfect pine tree decoration, handmade gift, or holiday fine motor activity. 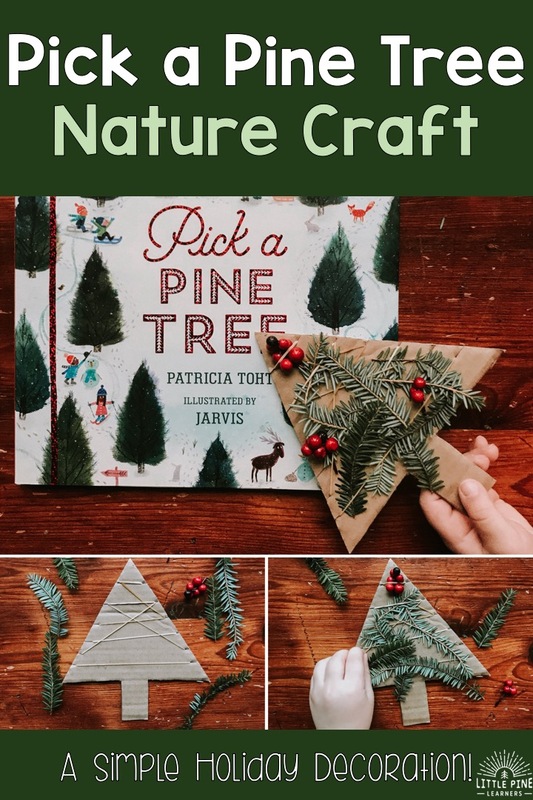 Pick a Pine Tree by Patricia Toht and Jarvis is an adorable book that takes the reader on the exciting and fun journey of picking out and decorating a pine tree for Christmas. The rhythmic narrative and colorful illustrations pull the reader in and makes this an irresistible holiday book that belongs on every bookshelf. You can see the beautiful illustrations and learn more about it here. 1. Decide where you want to get your pine tree branches. We found some branches laying on the ground outside but you can gather them from a holiday bouquet or your own Christmas tree! The berries that you see in our project are from a bouquet. 2. Draw a simple triangle shaped pine tree on a piece of cardboard and cut it out. 3. Cut out little lines on the side of the triangle part of the pine tree. I suggest four to six cuts on each side of the triangle. 4. Slide the rubber bands into the little cuts you made on the triangle. You can crisscross the rubber bands or go straight across. I find mixing it up helps with the weaving process. 4. Place the pieces of nature around the cardboard pine tree. 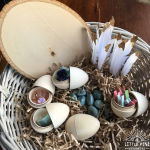 Depending on the age of your child, you might need to model the process of weaving the pine branches in the rubber bands. And voila! You have simple and adorable holiday craft ready to be gifted or hung in your home. 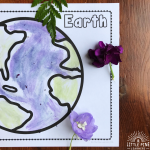 Need more nature-inspired ideas?! 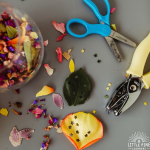 Check out Our Favorite Seasonal Nature Activity!